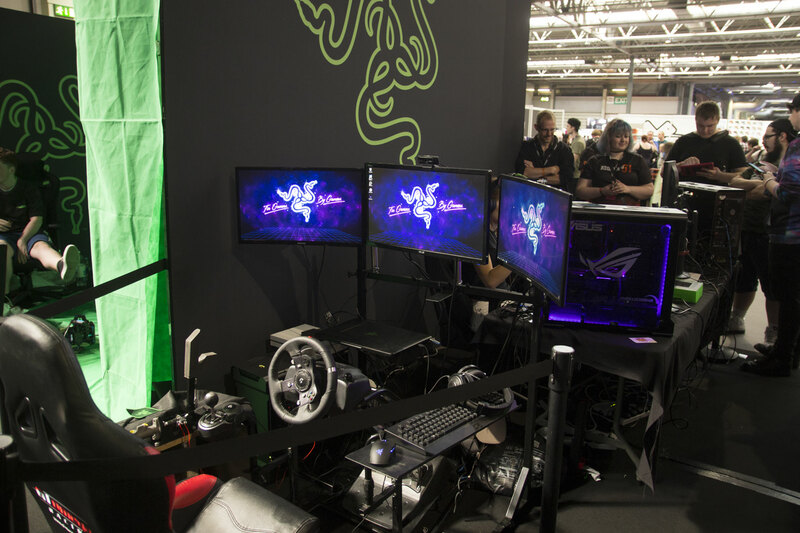 Continuing our little tour around i61, we arrived at the Razer stand. 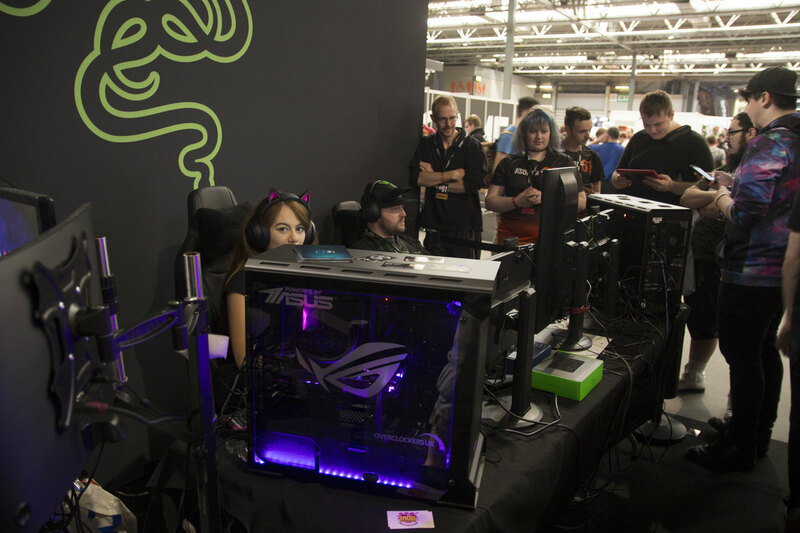 Razer had a nice racing simulator, yet more streamers, and some Razer laptops running PUBG for the attendees to use. 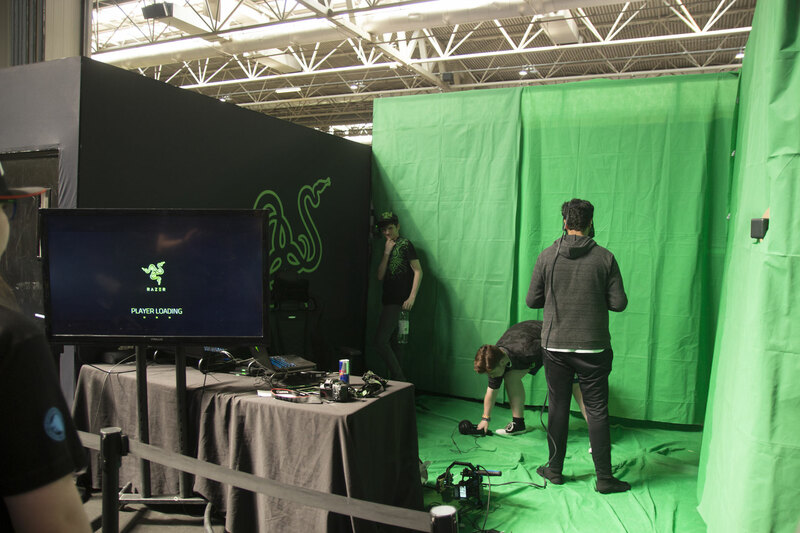 There was also a VR green room, although I didn't stick around long enough to see what was being played. 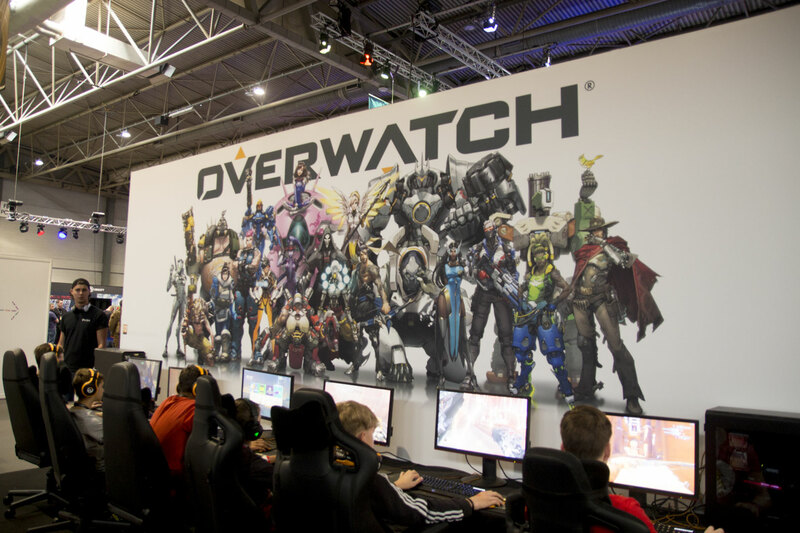 Overwatch is another game that Razer was showing off along with its Overwatch-branded peripherals. 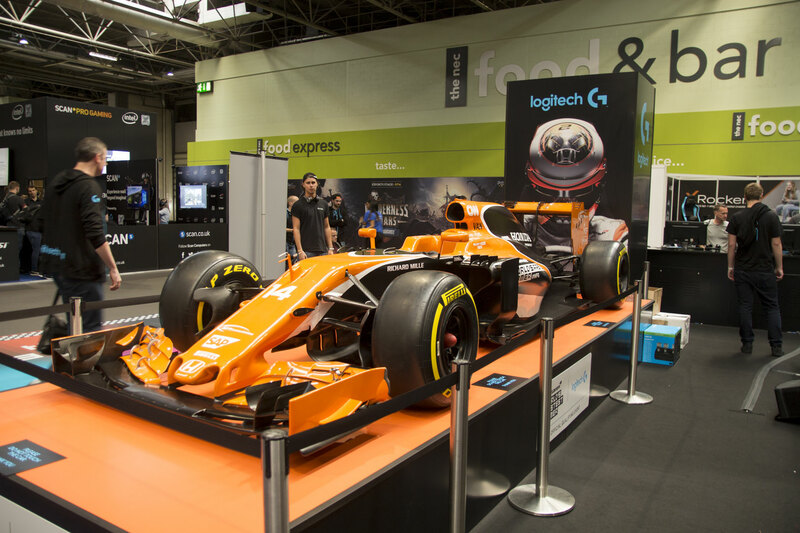 Logitech also had a nice display with a huge racing car! This thing looked awesome, and despite multiple requests, I wasn't allowed to keep it. 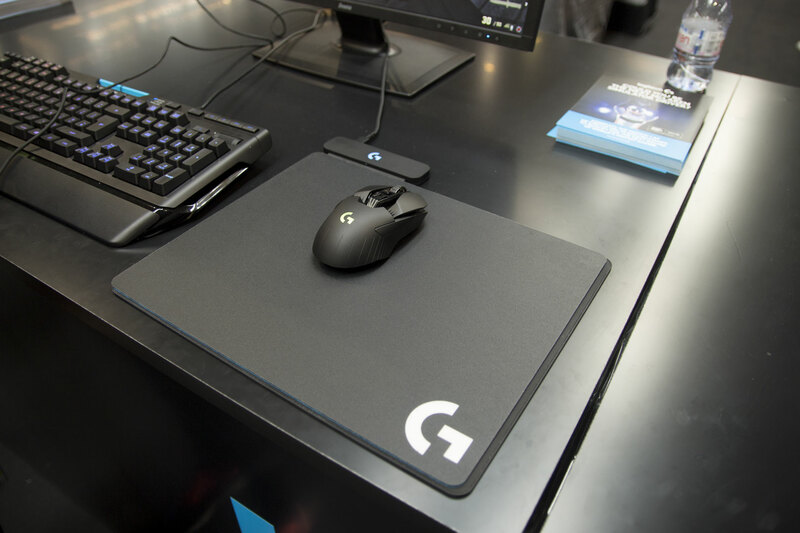 Logitech also had its new wireless charging mouse and mouse pad combo which we hope to get our hands on soon. 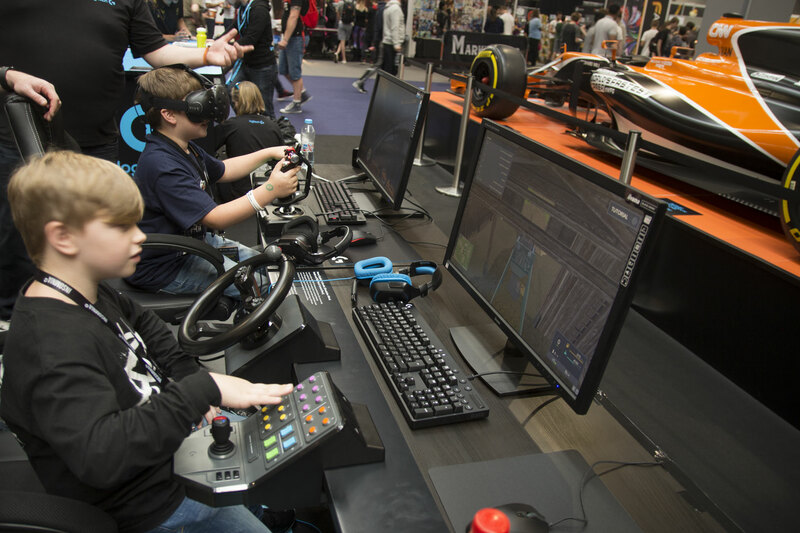 There was also some VR demos to play on and a range of simulator hardware to try out. 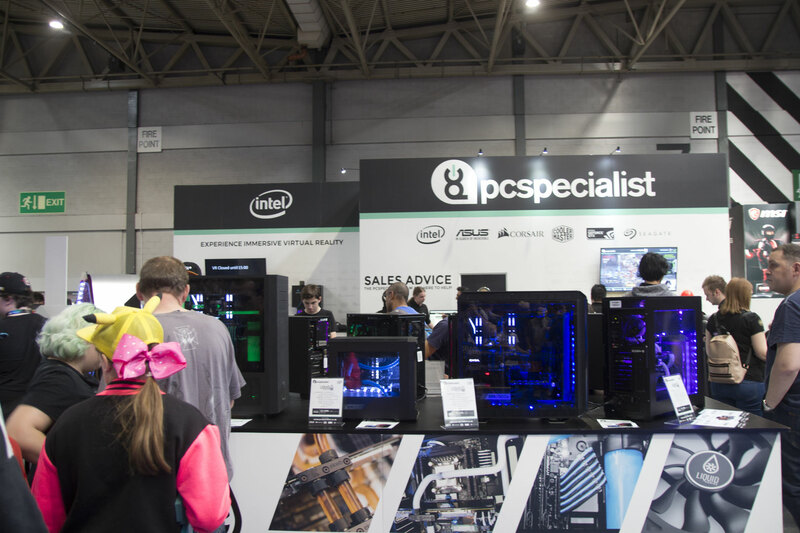 Our friends at Overclockers had a range of systems on display including both its premium 8Pack system range and other general prebuilt systems. 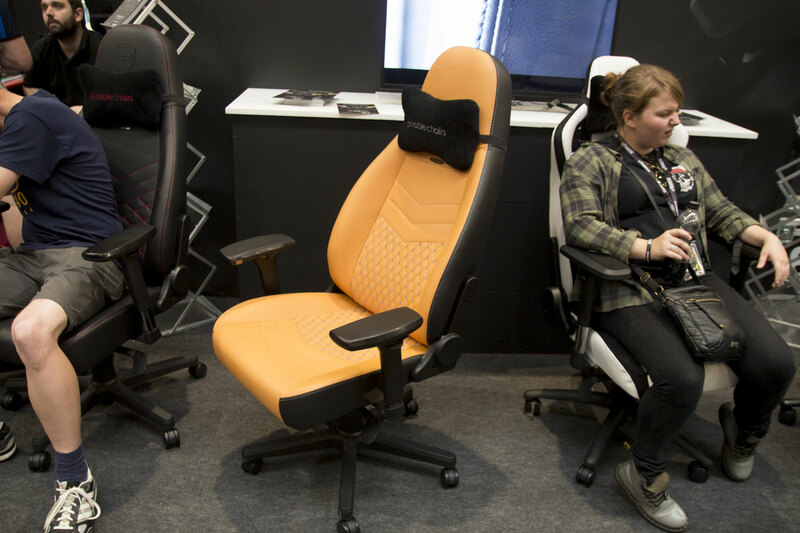 Of course, it too had an area for live-streaming, and Noble Chairs was also there showing off the new Icon range. 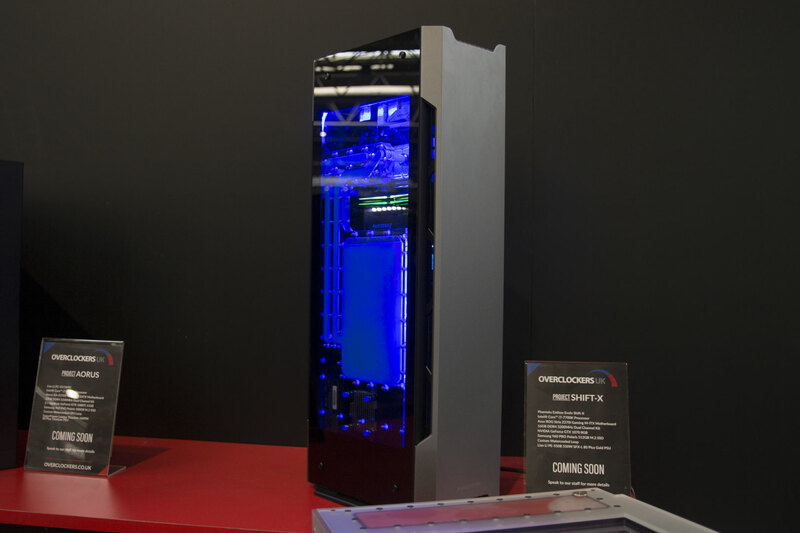 We actually have one of these to review, so keep an eye out! 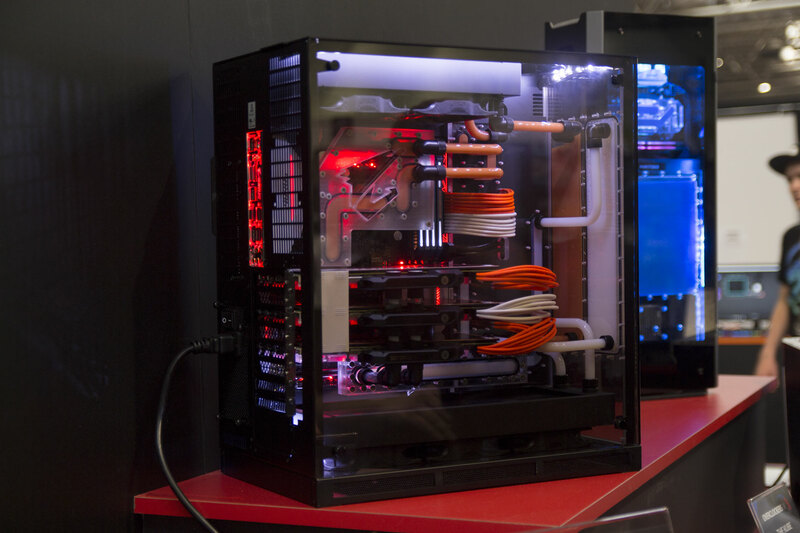 Thermaltake had a few nice modded PCs on display as well as plenty of demo systems to play games on. 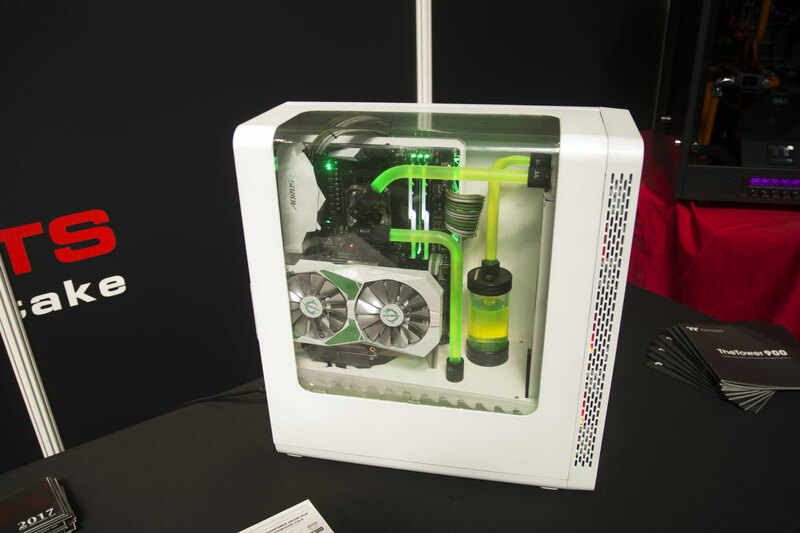 You may recognise the white and green build! This is from our friend Alex 'Maki Role' Banks who was also there for a few hours and popped over to us to say hi! Sorry I couldn't chat for long, buddy! 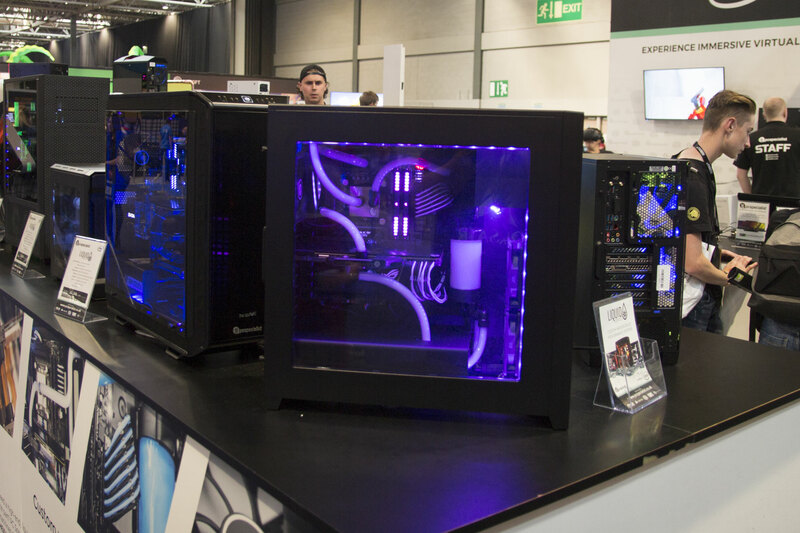 PC Specialist had a whole bunch of great systems on display again too. In fact, I really liked the layout of this stand, as it really was very easy for all the visitors to see everything they wanted to without having to actually step into the stand. it meant getting pictures was a pleasure. These guys are always a pleasure to chat to, so if you see them anywhere, say hi! 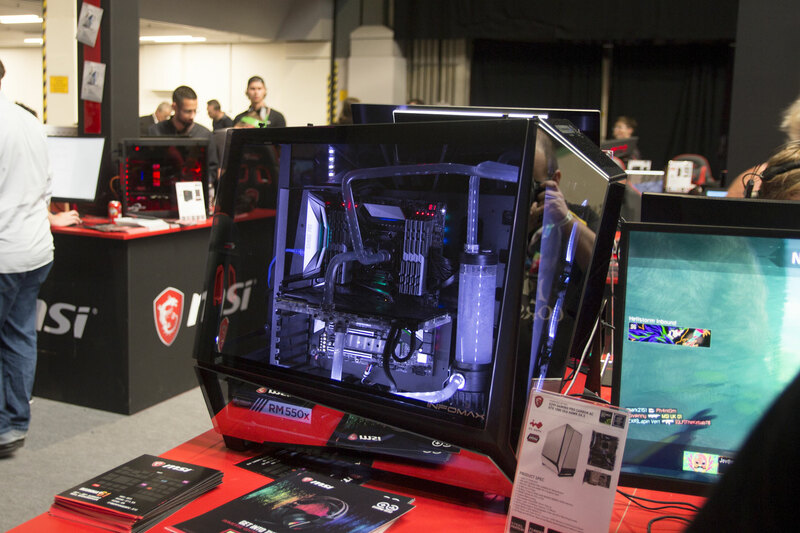 Last but not least, MSI was there showing off another beautiful In Win Tou 2.0. 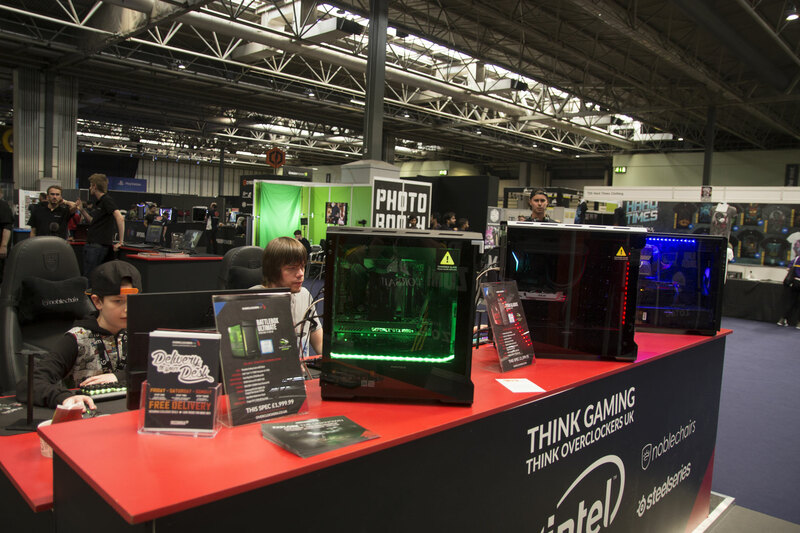 There were plenty of demo laptops and also a rather nice system build competition. 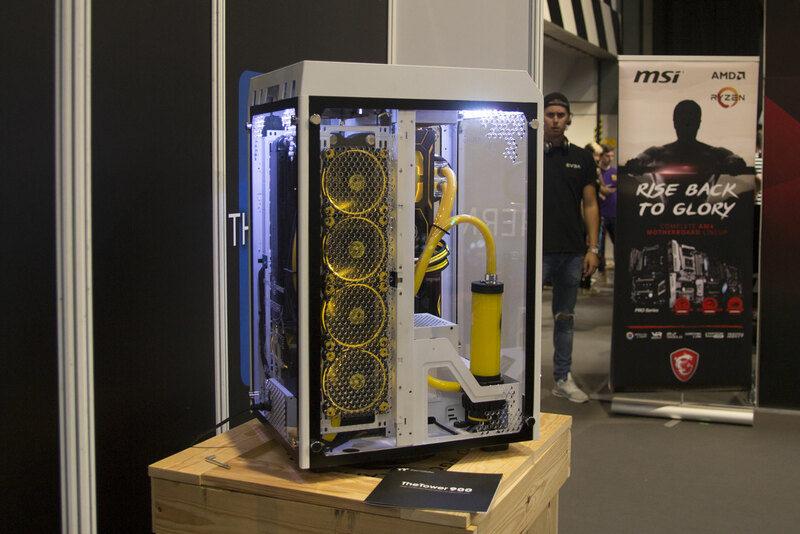 The idea was to see how fast you could build a simple PC, and the quickest builder won a bunch of goodies. 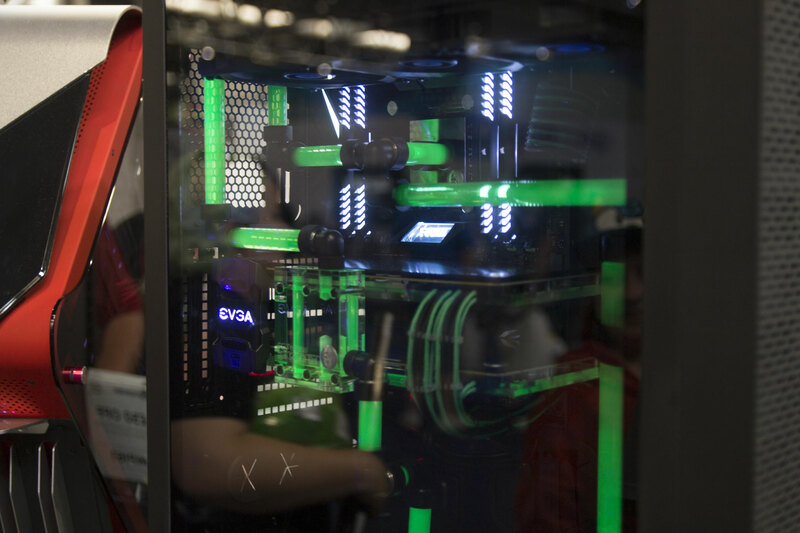 The main thing I noticed about this was that a lot of people who had never tried building their own PC gave it a go and found that, with instructions from AdModz, it wasn't as complicated as they thought. 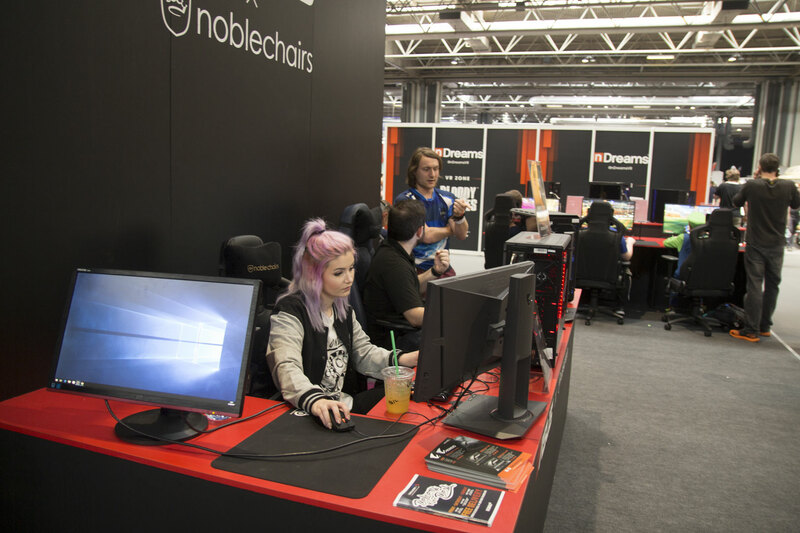 You never know, these could be the next big modders on the UK scene! 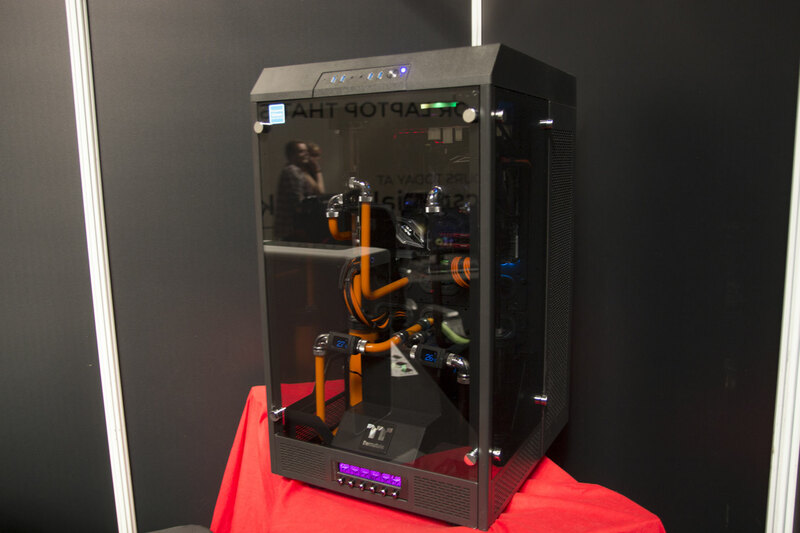 I would like to give a little mention to the guys at X-Gamer and FadeCase too. The guys at X-Gamer make a rather tasty drink that will probably rot you from the inside out, but it is tasty and they are happy to supply me and keep me going when I'm at events. 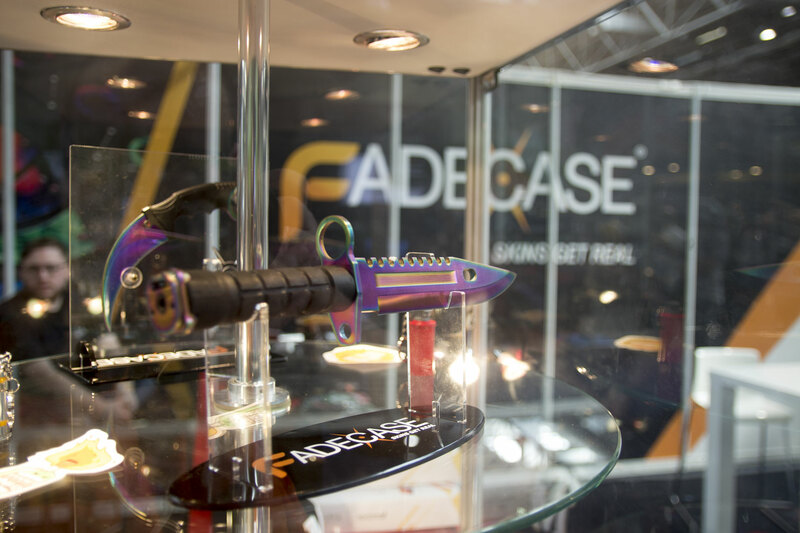 The chaps at FadeCase I have known for years and have some rather nice knives from CS:GO available to purchase. I used to love CS:GO but hated the idea of buying in-game skins; now you can buy them out of the game! 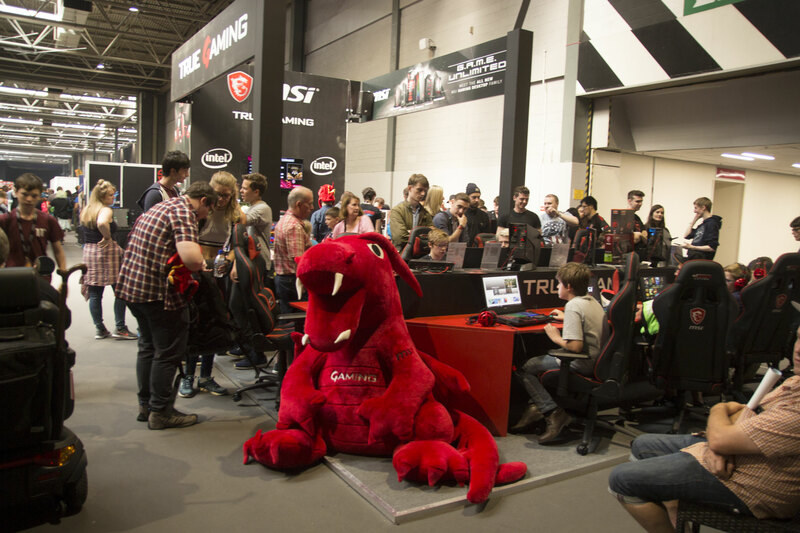 Well, that's it for our little tour around the Insomnia 61 exhibition hall, but be sure to check out our mini interview with Asus here. 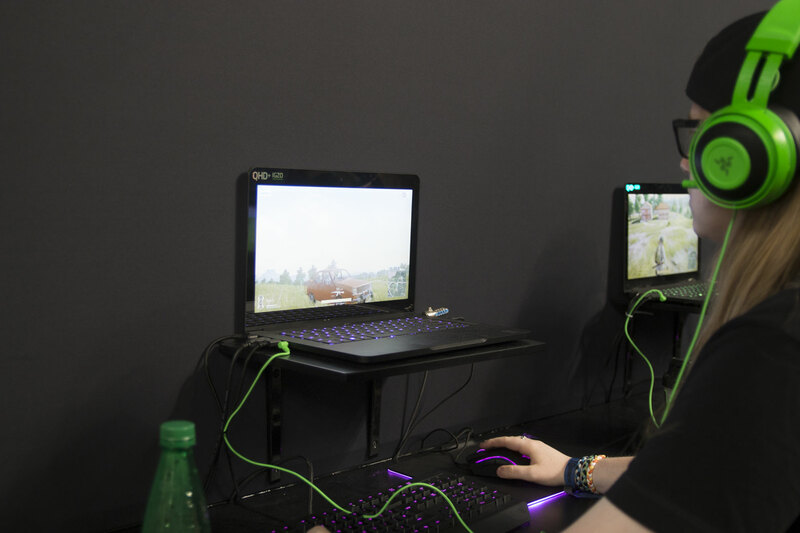 The next Insomnia will now be Easter, as there is no Christmas edition this year. I will hopefully be there nonetheless, so if you see me say hi!